Donna at Rock Springs, Wyoming on November 23, 1919 at the Grand Theater. 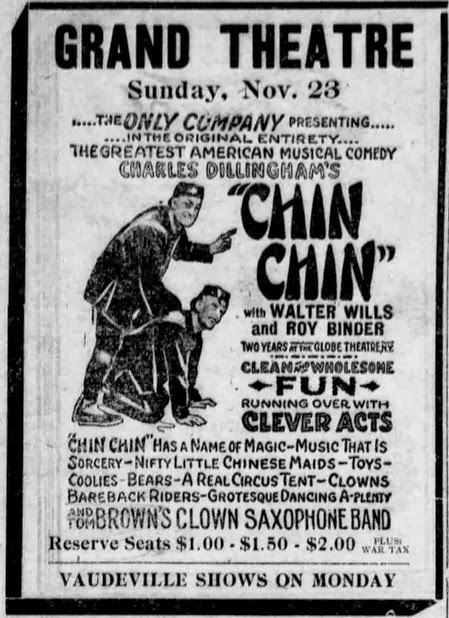 I almost missed that Chin Chin played at the Grand Theater in Rock Springs Wyoming. 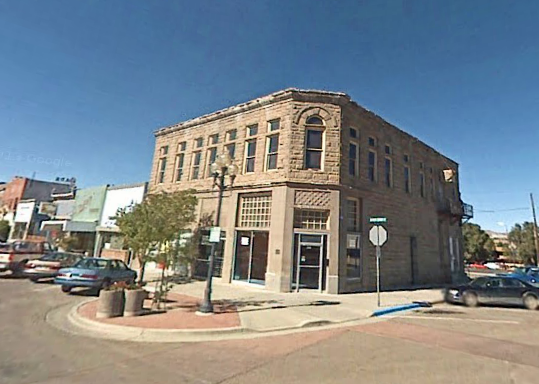 But thanks to the Wyoming Newspaper Project’s indexing of the Rock Springs Miner, I was able to learn about that venue. The Rock Springs Miner apparently was a weekly paper, so information about the show was limited to only two editions. 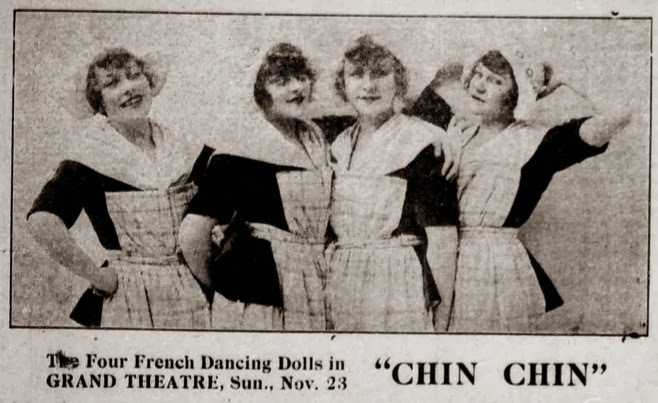 The newspaper on November 14th, included an ad for the show, a brief article about the shows coming, and another photo of “The Four French Dancing Dolls.” The quality of this photo’s image is much better than the one which was in the Colorado Springs Gazette. Uncle Russell, Donna’s son, and I are fairly sure that the woman on the left is Donna. It appears that Donna is on the left. When I first saw the Google Maps photo of the Grand Theater today I was astounded. I couldn’t imagine what the company thought when they came to the Grand Theater. It appeared small, very small. By a quick Google Map view of the theater it appeared to be about 60 feet by 80 feet. It was difficult to imagine that such a small theater could host a cast of over 60 people and still have room for customers. 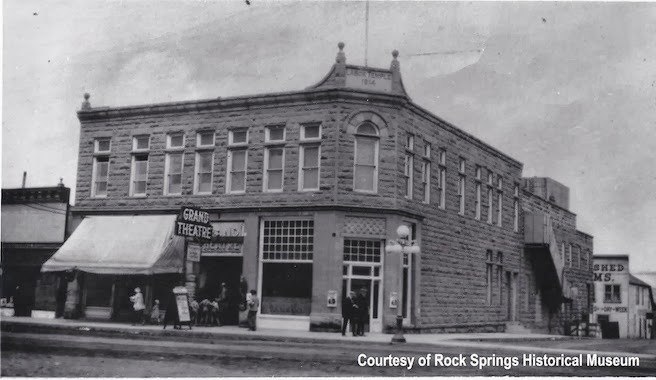 Then I contacted the good folks at the Rock Springs Historical Society on Facebook and asked them about the Grand Theater. They were kind enough to send a photo they had. Their photo clearly showed additional space in the rear, which probably housed the stage, changing rooms, etc. What a relief. Back in the day, it held over 300 people. The photo also show a roof element that indicates the building was built in 1914 as a Labor Temple. Today it hosts an “Adult store” and some vacant frontages. Next Next post: Donna in Salt Lake City, November 24th & 25th, 1919 at the Salt Lake Theater.